The 4-Wheelers enjoy getting out into the unique beauty found only in Arizona...and all within less than a two hour drive from our resort. 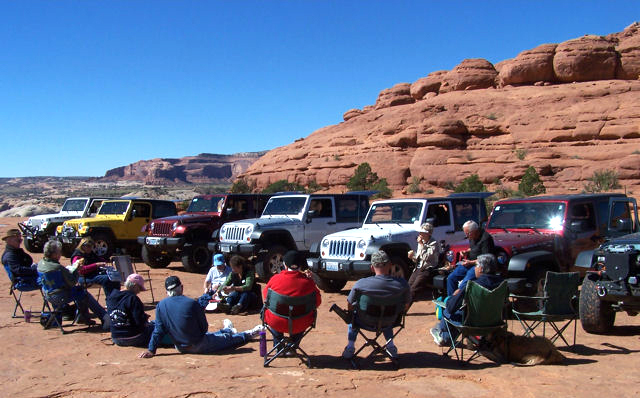 The red rocks of Sedona are best explored by Jeep. 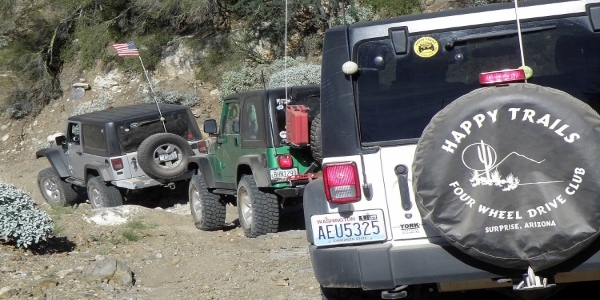 Our Happy Trails 4-Wheeler Club is taking a break during one of the club's weekly trips to see the beauty that is unique to Arizona. 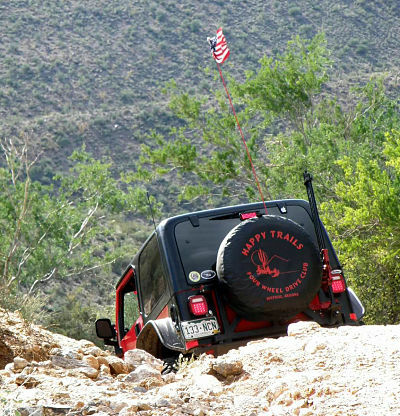 The Happy Trails 4-Wheelers are "over the top" when it comes to exploring the mountains, canyons, and valleys in Arizona. Organized activities are available during the fall and winter. Come and join the fun!